I explained that while our citizenship may be the same, our experiences and cultures were very different. After a couple specific examples, my dad started to realized more and more what my husband and I were learning about each other! We start with the assumption that there will be differences. All relationships have differences between the two partners because everyone is unique. Everyone comes with a unique set of experiences, cultural norms, and ways to relate to the world. 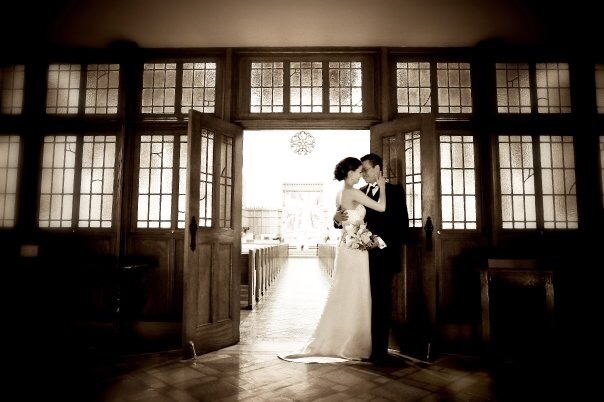 In an intercultural or interracial marriage, we just assume we will have differences. We know we grew up very differently so when a disagreement arises we can quickly pinpoint if its a matter of a different approach to something. I’ve seen some friends and family in monocultural relationships assume that the other person has the same approach to an issue as they do. They may have very different ways of looking at an issue but they don’t realize that at the beginning. A wonderful bonus to falling in love with a person from another culture is the joy of learning intimately about their culture. 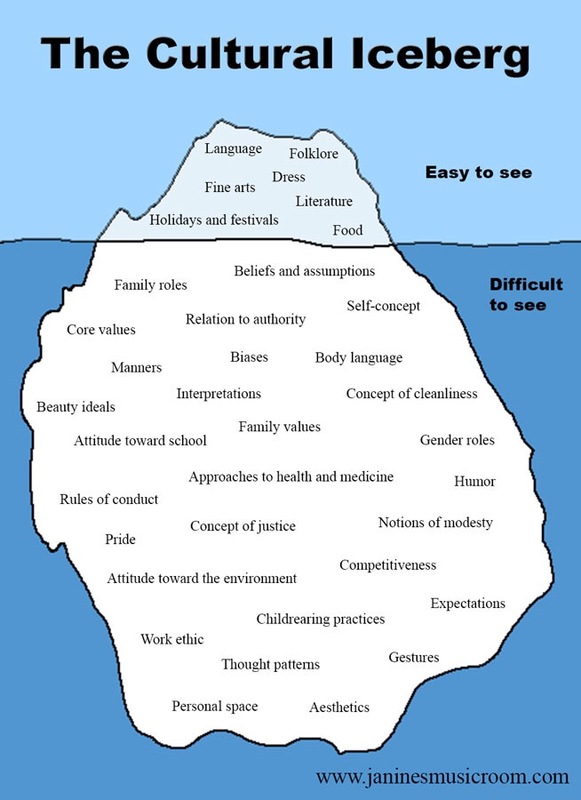 You may have seen this diagram of culture depicted as an iceberg where the visible parts of culture are above the surface (I.e. Language, food, holidays). But the majority of the cultural markers are below the surface such as expectations, family roles, biases, beliefs and assumptions. It’s easier to ask questions in a loving intercultural partnership because you are coming from a place of genuine interest and curiosity. ← What does a Culturally Aware Child Look Like?